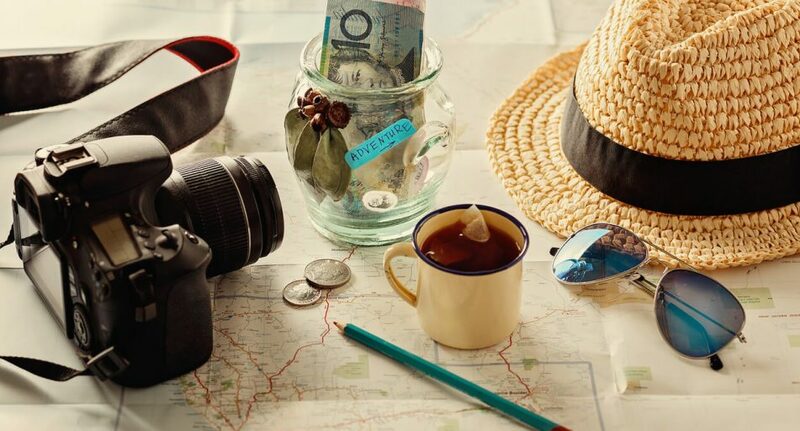 When you’re off on a global adventure, should you take cash, credit or debit cards, old-school traveller’s cheques or one of those pre-loaded travel cards? Which is safest, which is more convenient and which will save you money in the long run? The answer depends on your destination, your spending habits and a range of other factors. Do some research on your destination(s) ahead of time to find out about exchange rates, ATM availability, opening hours of foreign banks, etc. Travel forums are a great place to learn about how to deal with money issues in specific locations. It might be handy to know, for example, that if you don’t grab your cash quickly enough from an ATM in Gabon, West Africa, it may get sucked back into the machine before your very eyes! It helps to have some local currency in your pocket when you arrive in a new country. Have at least a couple of hundred dollars in local cash to pay for meals, taxis and other immediate expenses. Bring a bit more if you are arriving on a weekend when local banks will be closed. Stocks of major currencies are available at some Australian banks and from specialist currency exchange companies. Don’t buy foreign banknotes at an airport unless you absolutely have to – whether in Australia or at your overseas destination. Cash is king in many parts of the world and you can’t always rely on plastic cards to get you out of trouble in out-of-the-way places. Make sure you don’t run short of banknotes, wherever you are. Never buy foreign currency from a street seller, anywhere in the world. There’s nothing to prevent your vendor from taking off down the street with your wad of cash in their hand. There’s also a chance you could end up with counterfeit bills. It’s simply not worth the risk. Debit cards are one of the simplest and most convenient ways to get local cash overseas. Because foreign ATM transactions come straight out of your own account, you’re not charged interest on cash withdrawals as long as the money is definitely in your account back home. Fees for using debit cards overseas vary between banks, credit unions and building societies, so it pays to shop around for the best deal. Keep in mind that some overseas ATMs won’t let you take as much cash out at once as you’re used to withdrawing in Australia. The limits may be per day or per transaction, so be aware of them. It’s also sensible to avoid using your card at a foreign ATM when the corresponding bank is closed: if the machine inexplicably swallows up your card, you’ll have to wait a day or two to retrieve it. Credit cards can be incredibly useful for guaranteeing hotel rooms, paying for larger purchases and for emergency expenditure when you’re travelling. They’re not so great for cash advances, however. Credit card providers charge a currency conversion fee as well as a cash advance fee for withdrawals. On top of that, your credit card interest rate will be building up on your withdrawals. Those cash advance fees can chew a real hole in your travel budget over time. If you’re old enough to remember music in the pre-rap era, Columbo’s raincoat or paisley-themed flared trousers, you’ll probably recall how every traveller used to carry around a thick stack of traveller’s cheques when they went overseas. These were very secure and could be quickly replaced by the bank if lost or stolen. On the downside, there was a lot of repetitive cheque signing involved and there were plenty of places around the globe that simply wouldn’t accept them (yes, we’re talking about you, Lake Khovsgol, Mongolia). In our 21st century world of plastic cards and online transactions, traveller’s cheques (like paper cheques in general) have lost much of their relevance. In our 21st century world of plastic cards and online transactions, traveller’s cheques (like paper cheques in general) have lost much of their relevance. They’re by no means obsolete yet, but they’re getting there. If you do use traveller’s cheques, record the serial numbers and store them separately from the cheques themselves. Many banks, money exchange outlets and airline companies offer some form of ‘travel money card’ which you pre-load with money before you go overseas. This then functions somewhat like a debit or credit card. You can often ‘lock in’ the exchange rate for foreign currencies (not Aussie dollars) when you pre-pay money onto the card. If these cards are lost or stolen, they’re replaceable. Read all the fine print associated with the fees on travel money cards. If you use the card in a foreign restaurant or bar, is a tip automatically deducted by the card provider? How scary are the exchange rate margins and which currencies are allowed on the card? The advantages of travel money cards is that if you’re visiting numerous overseas destinations, you can pre-load the card with several different currencies at a fixed exchange rate. The advantages of travel money cards is that if you’re visiting numerous overseas destinations, you can pre-load the card with several different currencies at a fixed exchange rate, top up the card as you travel and sidestep currency fluctuations. You can also use the card to withdraw cash at participating ATMs. Is a travel money card going to be a better option for you than simply using your debit card? It depends on how much you’re spending, the destinations and the fees involved. There are oodles of travel money cards to choose from: Multi-Currency Cash Passport, NAB Traveller Card, Australia Post Load & Go, American Express Global Travel Card, ANZ Travel Card, Commonwealth Bank Travel Money Card, Westpac Global Currency Card, etc. Virgin Airlines and Qantas have their own cards as well. Dynamic currency conversion (DCC) is basically when a store, hotel, tour operator, restaurant or other overseas establishment offers to charge your card in Aussie dollars instead of the local currency (which is the norm). Sounds great, right? Not so fast, world traveller. Do you know what exchange rate you’re being charged for this privilege? There is likely to be an extra profit margin factored in for the proprietor as well. The exchange rate could be worse than what your card provider offers without this ‘extra service’. When in doubt, always pay in the local currency when travelling. When in doubt, always pay in the local currency when travelling. Keep your finger away from that ‘Pay in AUD’ button – it’s dangerous. Before travelling overseas, let your card providers know where you’re going. The last thing you want is to have your card cancelled for a ‘suspicious transaction’ in Bhutan or Romania because your bank thinks you’re still in Australia. It’s wise to carry more than one type of plastic card when travelling, in case one is lost or pilfered. And speaking of security, don’t carry more cash around with you than you can afford to lose in a robbery. For peace of mind, you should consider getting Budget Direct travel insurance, which can pay you up to $5,000 for the cost of replacing your lost or stolen travel documents, credit cards, travel money cards, and travellers’ cheques.